High school sweethearts, long distance lovers, ended with a getaway proposal. Overlooking Duluth, Minnesota from Enger Tower the couple was engaged. Luckily for Paige, Grant had hired a photographer to capture the moment along with some celebration photos. They ended the evening with dinner and wine while texting their family and friends with their exciting news. Paige knew where she wanted to get married and Grant agreed that it was absolutely perfect. A good old fashioned backyard wedding provided a lush backdrop for this couple to say their “I do’s”. 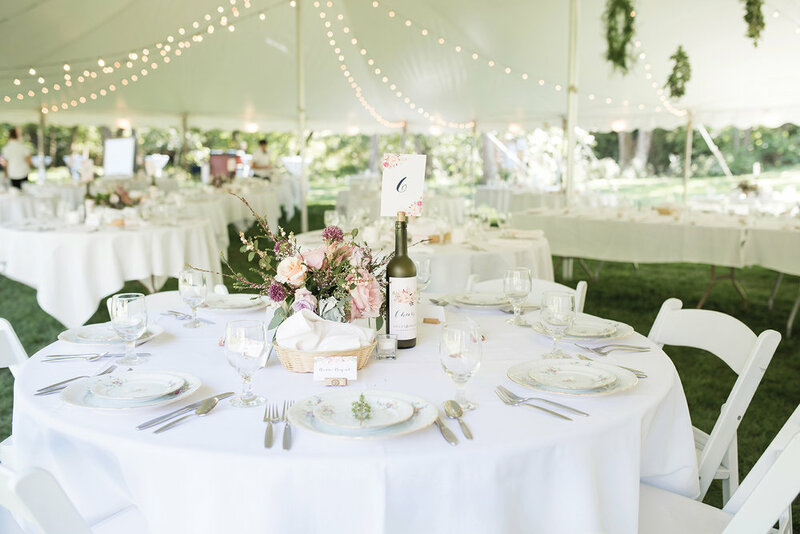 Her parent's yard paired perfectly with their relaxed, romantic, bohemian wedding vibes. 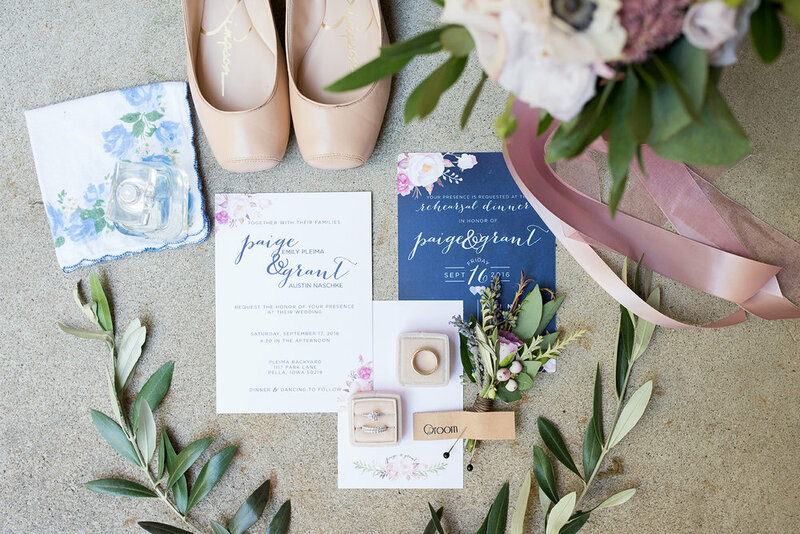 Personal touches were very important for the couple, including custom paper goods and florals. The best part of the wedding planning was collaborating with family members to bring their vision to life. 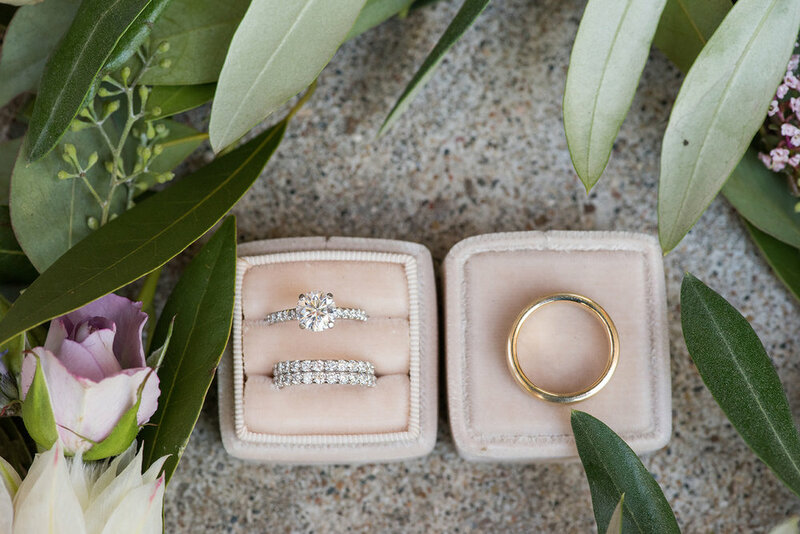 Paige enjoyed planning with her mom, step-mom and future mother-in-law for wedding ideas. Grant's family showcased their woodworking talents by creating an arch for the couple to get married under and a backdrop for their dessert table.